If there is one profession where learning never stops, it is the evergreen arena of website design. Whether you are a beginner level student or a professional London web design expert, it doesn’t matter. As long as you want to excel yourself in the field and stay above the competition, you never stop learning. In my opinion, there are two concrete reasons. Firstly, because the design world sees its fair share of trends which come and go. You are always under constant change. What may be a hip trend in the month of January may have gone obsolete in February! Secondly, there are several new emerging technologies, and each has a web or a mobile presence with a completely different look and feel. When it comes to design, there are several factors involved, the most commonly addressed is the UI/UX of the platform. Hence, it is important that you, as a design enthusiast, should stay on top of the latest trends in the market. So, keep the following two points in mind, I have done my research and found out some of the best online learning platforms. These platforms can offer you some interesting basic and advanced courses in web design. And the best part is, these platforms are constantly updated with the latest information. So, are you interested to learn about these web design courses? It’s time to enlighten yourself. 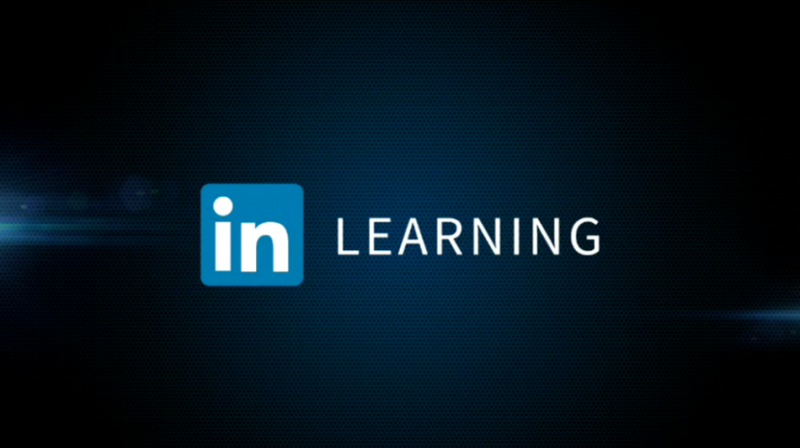 LinkedIn Learning, previously known as Lynda.com, is one of the largest online learning platforms on the Internet. It has a wide range of interesting courses which can help individuals develop their creativity as well as business acumen. Among many different courses, LinkedIn Learning has some of the best beginner and advanced level web design courses for enthusiastic learners. One of the best things about LinkedIn Learning is that it offers high-quality videos on a wide range of courses including python programming course in London. Apart from quality, the platform is designed in a way that it recommends you to watch other courses which are pertinent to your previously watched videos. For instance, if you are watching a course on Photoshop, LinkedIn Learning will dig out all the related training content which is relevant to your requirement and position your feed accordingly. Also, when you learn a new skill using the platform, it automatically adds it to your LinkedIn account. Not much of a big fan of the subscription model, are you? Does it weigh heavy on your pockets to pay a certain amount to a platform every month? Don’t worry! Udemy can be your ultimate learning solution. The Udemy platform allows you to only pay for the course you are interested in learning web design courses and coding courses. It will be a single-time investment, but you will purchase the course for a lifetime and access it from anywhere. Keep in mind that while course platforms which are subscription-based, such as LinkedIn Learning/Lynda.com have a proper curator who goes through every published course material before it is sent live on the platform. Whereas in Udemy, every other person can become an instructor and post their course in order to try and test their luck at becoming an instructor. Since the courses follow a pay per purchase model, people publishing their courses online can stabilize a passive earning source. But fear not, the website offers a customer reviewing option which allows you to quickly judge which of the courses are worth purchasing. And, with the average cost of a course around £11.99, investing a little budget in education doesn’t sound like a bad option either. So how are nano degree programs any different from courses? They basically take Udacity to a whole new level. These web design and development courses are designed in such a way that it takes the student through a step-by-step process so they can build a project of their own. Another great thing about Udacity is that there are set times for each lesson which enables you to learn without hassle. If you are a long-time learner, Udacity can be your one-stop-shop for all. It is largely focused on educating specialized skills and help people within the tech industry reach higher levels in their career. If you are someone associated with web design, or someone who is interested to cover AI/Machine Learning concepts, or maybe a full-stack developer searching for a good python course in London, Udacity has courses of every flavor in its respective database just for you. So, what are you waiting for? Sign up. Seeking to quickly climb the stairs of success in the online web development world? Well, look no further than Bloc, the ultimate coding frenzy Bootcamp for development enthusiasts from around the world. Unlike other learning platforms that majorly base their courses on tutorial videos, Bloc takes a different approach to educating the masses on. Alongside videos, it also offers other forms of learning material to its students, such as written documents and e-books. Bloc also allows students to connect with a mentor for all the necessary support and guidance. They are not just any normal courses that you may take as a student; they are well structured and not for the faint-hearted. If you are an individual who is highly motivated and enthusiastic to become an expert web designer and developer, Bloc is the right place to be. It weighs a bit heavier on the pockets as compared to the rest of the market and charges around $7500 for a course. But once you are done with the course, you will come out exceptional. At Bloc, assessments are different than simply appearing for a quiz. You will require a webcam connection so a real-life expert can assess you. Established in 2011, Team TreeHouse is one of the best online learning platforms on the Internet. It is created by one of the world’s most recognizable web designers, Ryan Carson. The platform incorporates around 300 different video-based training courses. You will find a variety of different courses in the field of web design and development. Also, these courses are classified into three different categories, running the gamut from beginner to advanced level courses. Each video is a high-quality professional shot, which makes the learning process a whole lot more interesting. The best thing about the platform is that everything is updated in coherence with the changing market. Team treehouse also follows a rewarding methodology. It means that every time you complete watching a video, you have to attempt different quizzes and assessments. On successful completion of these quizzes, you are awarded a badge which you can then display on different social media profiles. These rewards can really boost your motivation up a notch. Only someone who keeps binge watching shows on Netflix or plays an online game earning rewards around the clock can truly understand it. Furthermore, getting these rewards and then getting them published on your desired social media profile will open new doors to success. At team treehouse, you start with a seven-day free trial and then pay £20/month for a monthly subscription. PluralSight is not just any other online education platform. It is one of a kind platform that offers some interesting high-quality video training courses. On PluralSight, you can find videos covering a range of topics including web design courses and web development courses. And, the best thing about PluralSight is that it covers courses ranging from beginner level to advanced level. What makes PluralSight unique as compared to other educational platforms on the market? PluralSight offers “PluralSight IQ” test which promises to test your skill level in just a number of minutes. In case you feel lost or you don’t have a direction, their customer support is always ready to offer 24/7support. Also, the most amazing thing about PluralSight is that you can download these courses and then save them for later use. PluralSight allows offline viewing and works on a subscription-based model. PluralSight starts at $35 per month and accumulates a total amount of $229 per year. CareerFoundry is basically a web development learning platform, but it has some really interesting UI/UX Design courses which serve to entice customers. They offer a completely unique learning experience to individuals arriving on their platform. Students who are opting in for the UX design course at CareerFoundry will get highly skilled in industry best practices which can be applied in real-world scenarios. They also help students learn how to reverse engineer a UX design and identify the gaps. It will enable an individual to develop enough skills so they can easily get hired as a junior UI Designer. The curriculums designed to serve enthusiastic learners contain information on some of the latest tools in the field of design. Consultants educate the world using Sketch & Visual Website Optimizer (VWO). Once the course reaches successful completion, students will be done with building up a marketable profile of their own. With CareerFoundry, you earn the option of implementing solutions to problems. You can either choose a monthly subscription plan of £400 per month, or you can pay the single one-time upfront price of£3324 for a yearly program. Just like you have an option to create your own course on Udemy, Teachable is a savvy course creation platform that helps you build up an online audience. The best thing about teachable is that it offers deep level customization to make your course more interactive. It also allows you to create sales-friendly website pages which you can then send out into the world. Just in case you are not satisfied with the designed sales webpages, you can always tweak around with the code using the Power Editor tool. In Udemy, you have a fixed price of $12 for every course which you upload. But, that’s not the case with Teachable. With this online learning platform, you can choose between a single-time payment plan or a payment plan which works on a subscription-based model. Once you are all set, just design coupon codes and start selling them for a lot less. You can also collect student feedbacks and improve on it. It is not basically the best place to learn website design or development, but you can find multiple courses on teachable that pertains to your relevant field. Just search courses related to web design & development and I am sure you will find many interesting and informative courses. The basic plan for teachable starts at $39/month. You get a custom domain, email, affiliate marketing, coupon codes, etc. If you want to be a marketing specialist, you join an MBA program. If you want to become a doctor, you can join the best medical university in your hometown. But what happens when you wish to study web design and development? To a certain extent, Universities do educate their students on base level programming and the basics of web design, but to hone up on your skills, you still need an online platform. Either you have to pay a large sum of money to get a professionally advanced degree from a recognized institute or you can always get educated from these online courses at a shoestring budget.